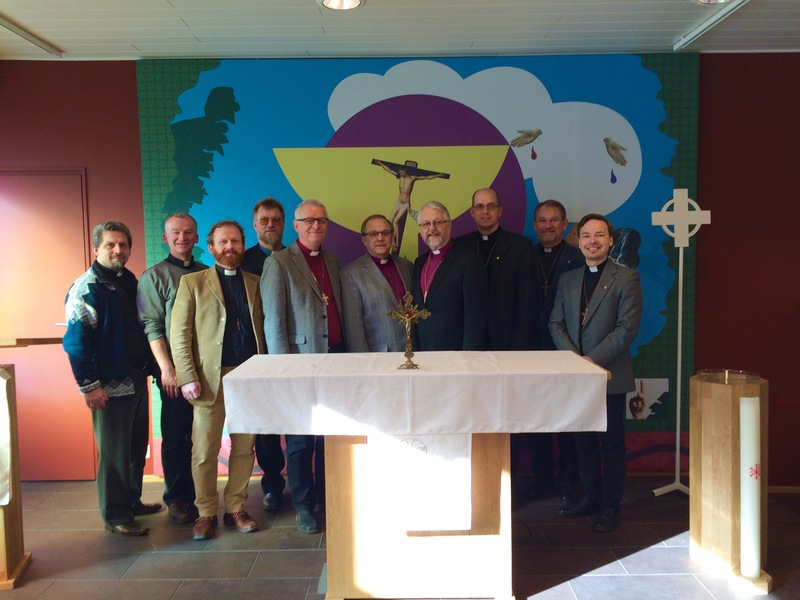 The independent Nordic Lutheran dioceses and the confessional Lutheran churches in Germany and the United Kingdom have taken a step towards church fellowship. At two-day-long negotiations that began in Helsinki, Finland, on Wednesday 13 April 2016, the central doctrines of the Christian faith were discussed on the basis of the Lutheran confession. Participating in the negotiations were the Evangelical Lutheran Mission Diocese of Finland (represented by Rev. Bishop Risto Soramies, Rev. Dr. Dean Juhana Pohjola, Rev. Dr. Martti Vaahtoranta and Rev. Dr. Samuli Siikavirta), the Mission Province in Sweden (Rev. Bishop Roland Gustafsson and Rev. Jakob Okkels), the Evangelical Lutheran Diocese in Norway (Rev. Bishop Thor Henrik With and Rev. Erik Okkels), the Evangelical Lutheran Church of England (ELCE, Rev. Chairman Jon Ehlers) and as an observer the Independent Evangelical Lutheran Church in Germany (SELK, Rev. Dr. Armin Wenz). As a result of the agreement reached in the theological discussions, the meeting stated that no hindrance was found to moving on with the establishment of church fellowship between the participating churches. – According to the Lutheran confession, agreement concerning the proclamation of the Gospel and the administration of the Sacraments are prerequisites for church fellowship. Even if we share the common doctrinal basis of the Lutheran confession, it is necessary to discuss and find out how we understand it and apply it to our congregational life, Dean Juhana Pohjola of the Mission Diocese states. Despite the shared faith, the negotiations made clear how different situations the participating churches are facing. The ELCE and SELK date their roots back to the 19th century and are therefore considerably older than the Nordic dioceses that have emerged in the 21st century. The SELK with its 33,000 members and 187 congregations is by far the biggest, but it is challenged by not all of its members being active any longer. The 19th-century state of confession is so far behind that it is no longer self-evident to everyone what it means to be a confessional Lutheran. At the same time, the SELK has in the last few years baptised ca. 1,500 former Muslims to become disciples of Christ and members of its congregations. The ‘miracle of Berlin’ is often talked about. The ELCE’s approximately 800 active members worship in 14 congregations that are for the most part very small. The majority of its pastors and a large part of its congregants originally hail from without the UK. Lutheranism is an almost unknown concept in the country. The ELCE does outreach e.g. through the Lutheran Radio UK whose programmes are available to listen here. The challenge facing the Nordic dioceses, in their turn, is to stabilise ecclesial life and to grow their small congregations without the old and familiar church buildings. There is plenty of work to be done in teaching the Lutheran confession and liturgical life to parishioners coming from diverse spiritual backgrounds. At the same time, congregations in the Nordic countries are in many places growing and strengthening. The Mission Diocese with its 32 congregations and ca. 1,800 members is nowhere among the smallest of confessional Lutheran churches in Europe. The original raison d’être of both the Nordic sister dioceses and the confessional Lutheran churches of England and Germany, however, is something that they all share: the desire to live in a Lutheran congregation where both teaching and life are based on the Lutheran confession. In the Nordic countries in the 21st century, Lutherans could not give in to the unbiblical decisions of the established majority churches such as the ordination of women, which is why pastors were ordained independently and congregations were founded. In 19th-century Germany, Lutherans could not accept the forced union between Lutherans and the Reformed. In 1896, German bakers living in London wanted to call a German Lutheran pastor who would not accept the doctrines of Calvin and Zwingli – only to find one in America that had received many German Lutheran refugees fleeing the lack of religious freedom in Germany. The result of the Helsinki negotiations is a recommendation that will be taken forward. Each participating church will decide on establishing church fellowship in their particular committees and synods. The process may well take some years. 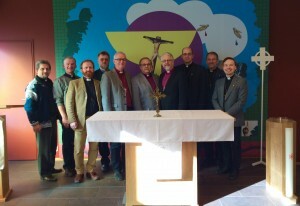 Meanwhile the Nordic sister dioceses intend to apply for membership of the International Lutheran Council (ILC). A report on the preliminary discussions with the ILC may be read here. – Despite the slow pace of ecclesial decision making, the participants in the negotiations may already rejoice in the fellowship of faith that exists between our churches. As confessional Lutherans we are often in the minority. It is good to know that we are not alone, Bishop Risto Soramies of the Mission Diocese encourages. On the website of the Mission Province in Sweden (in Swedish). On the website of the Evangelical Lutheran Diocese in Norway (in Norwegian).